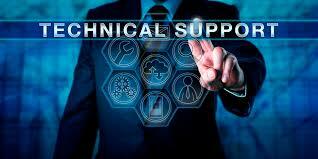 UKB IT Solutions support services offers onshore and offshore technical support services, creating and delivering knowledge-centric support solutions aimed at improving the end-user experience. Our high level of technical skills across various platforms, wide exposure to multiple deployment scenarios and creativity in problem solving help us improve the end-user experience. In addition, our extensive access to qualified technology professionals, enable us to quickly train and ramp up expertise to meet consumer demands. This method incorporates inbound calls, email, chat & remote login. These services span across.